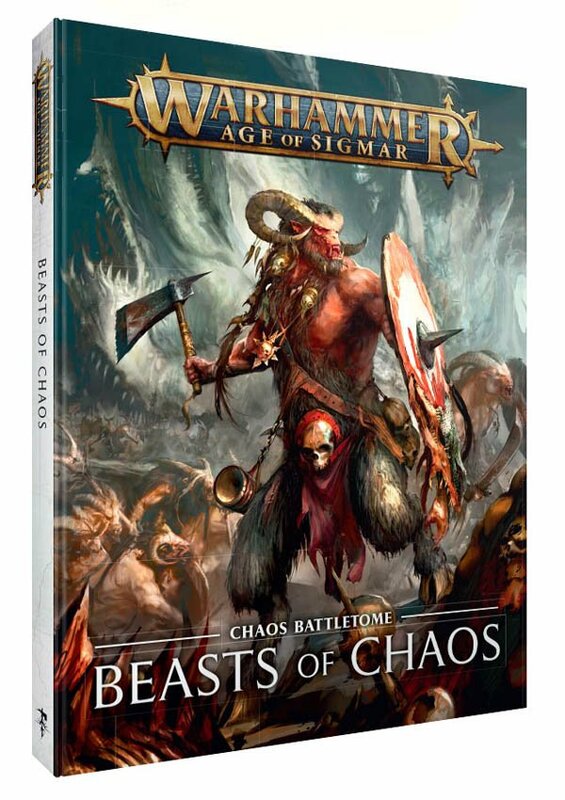 (Un)holy cow everyone, the Beasts of Chaos are coming–that’s right, Beastmen are back baybee, and with them they bring raw and untamed chaos, and terrain and minis fit enough to be on the cover of an entire festival’s worth of Metal Albums. 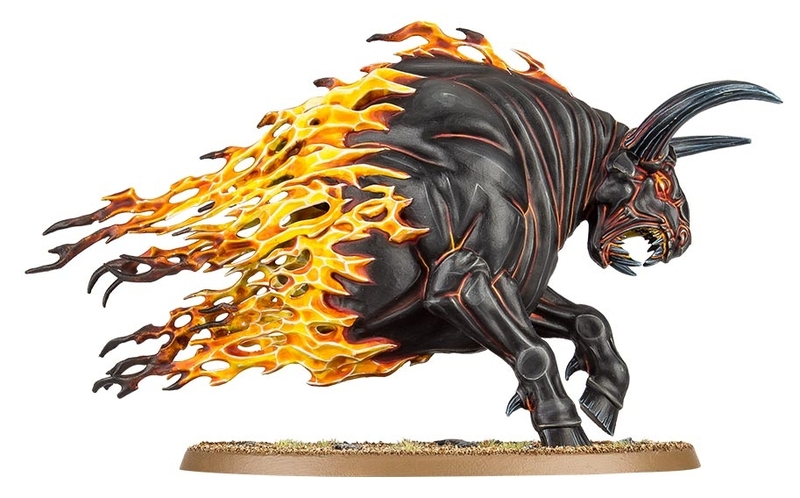 Now, at last, we know where that flaming, charging bull is from. 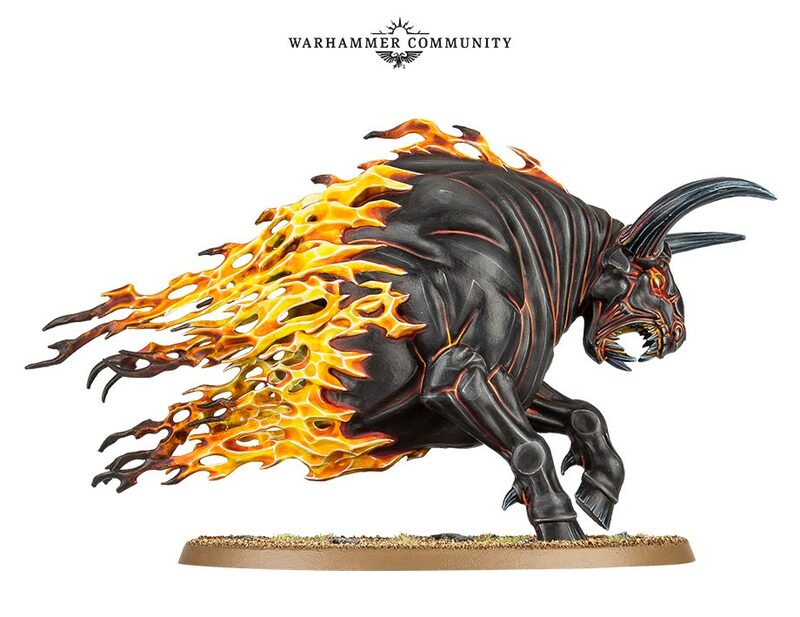 But that’s hardly the only thing that Beastmen are getting in their reveal. Come take a look! 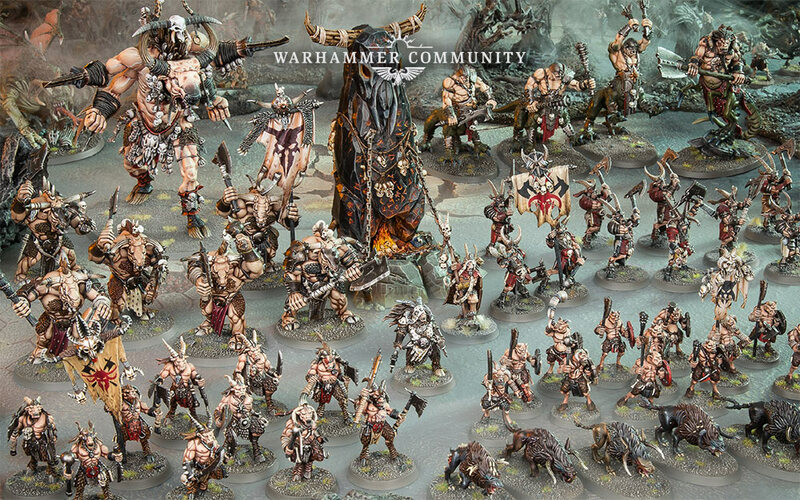 There are some amazing looking miniatures here–a bestial tide of chaos, poised to sweep over the land. 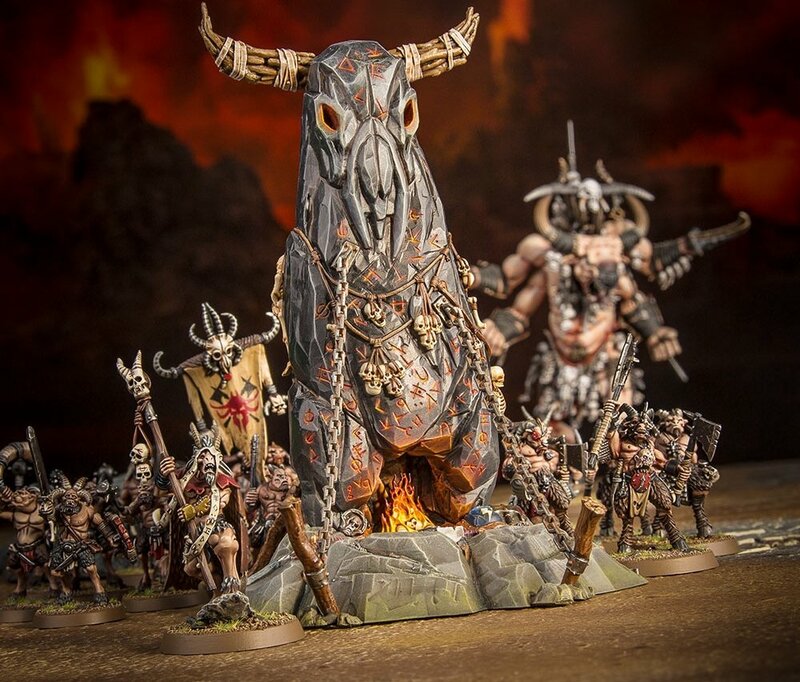 But what’s really exciting to me is the Herdstone, the big rocky, chaos icon right there in the middle of everything. 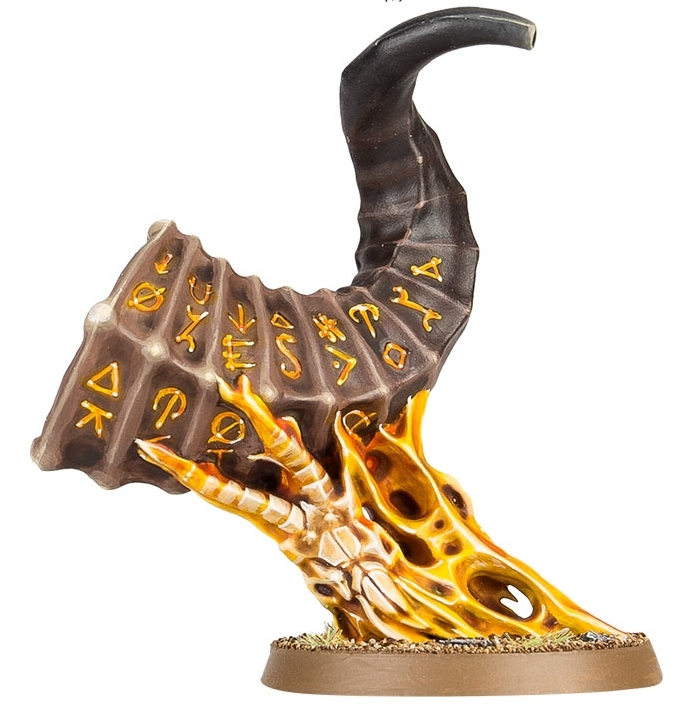 Back with a new miniature, the Herdstone is a primal altar to the Chaos gods. At these Herdstones, the bestial children of Chaos offer up runic engravings, corrupted relics, and, as you can see littered around the altar–unwitting victims–all in a bid to gain the favor of the ruinous powers that flow through them. 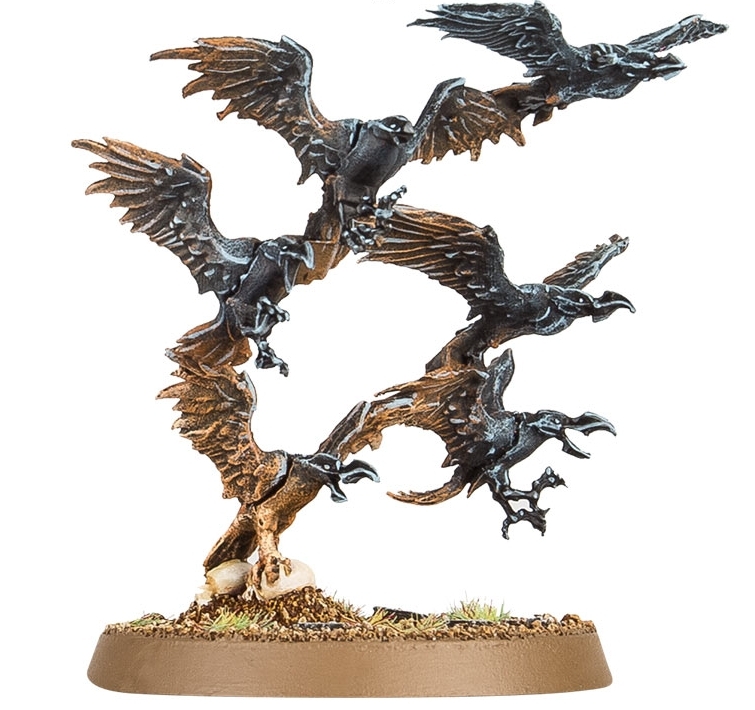 What looks like a flock of vultures or other carrion birds, and a massive chaos horn being gripped by what looks like a flaming, skeletal hand. My guess is, it flies around handing out buffs and debuffs, but we’ll just have to wait and see. 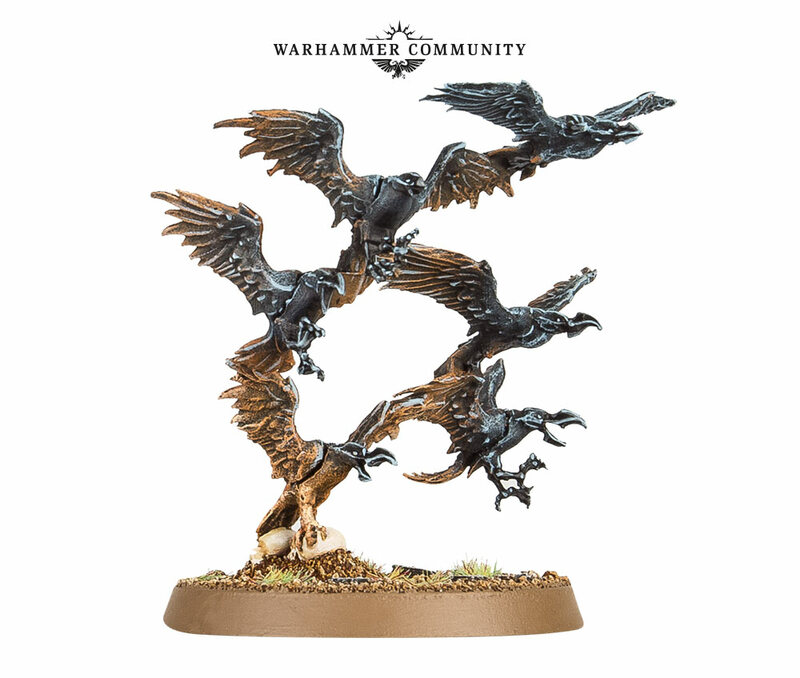 At any rate, there’s a look at the new Chaos Battletome, stay tuned for more folks. Stay tuned for more. Going up against a marauding horde of Brayherds is always a baa-d idea. I’ll see myself out.